Play the Course. Travel the World. Have you ever sunk a putt while overlooking the Baltic Sea? Ever chip out of the sand and still be in The Land Down Under? MH Signature Journeys is pleased to offer the greatest golf getaways with the most beautiful courses imaginable. Not everyone in your party an avid golfer? No problem at all. The travel options and golf courses on the itineraries are always in close proximity to scenic seascapes, prime wineries, shopping, historic cities, and many more memorable destinations for anyone to enjoy. Plan a golf trip today with MH Signature Journeys, there are new and foreign cultures to be explored. Inquire online or give us a call today to get the ball rolling on the golfing excursion of a lifetime--we’re here to help you through it all.  Book these and more destinations around the world with MH Signature Journeys. Contact us today to start planning your next golf journey!